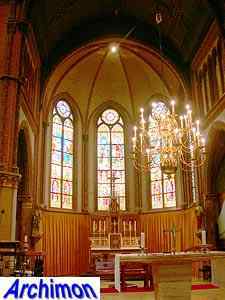 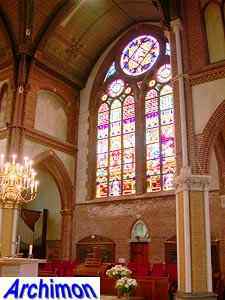 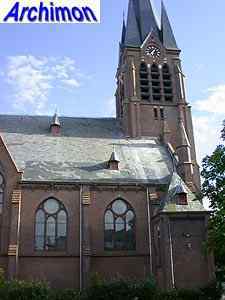 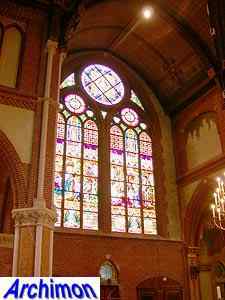 After the Reformation the catholics of Breukelen shared a hidden church with the catholics of Maarssen. 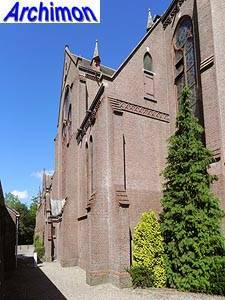 This hidden church was located in Maarssenbroek. 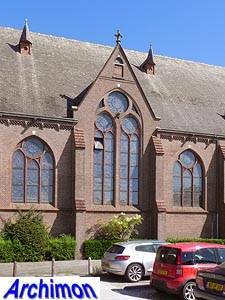 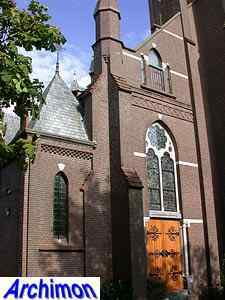 In 1760 it was replaced by a more church-like building in Maarssen. 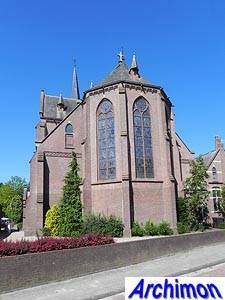 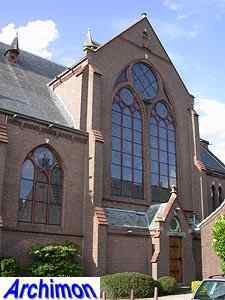 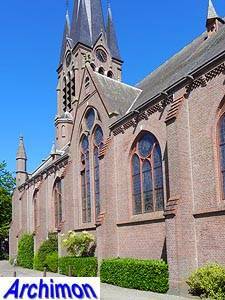 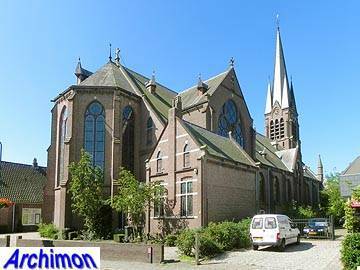 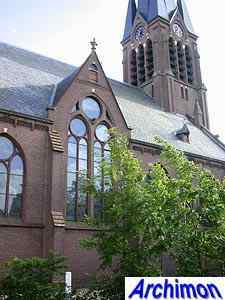 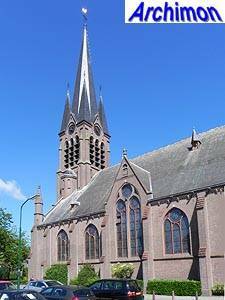 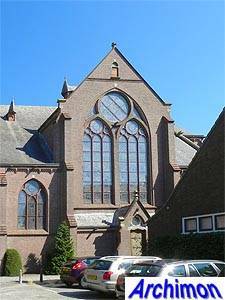 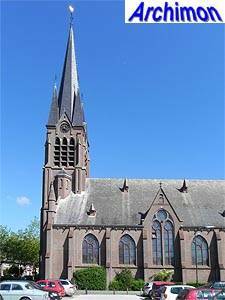 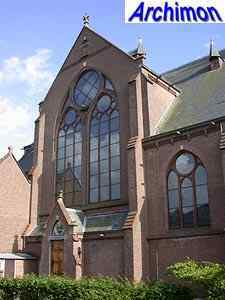 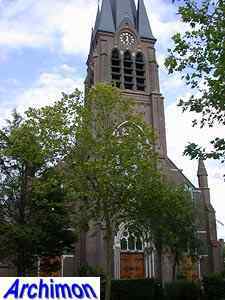 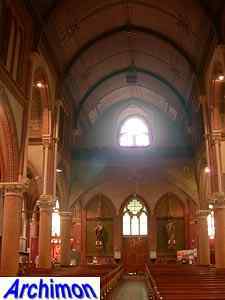 In 1795, when the protestant Republic had finally come to an end, a parish was founded and a simple catholic church was built in Breukelen itself. 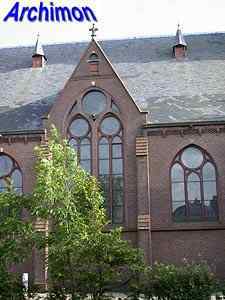 This small building was used until the 1880's. 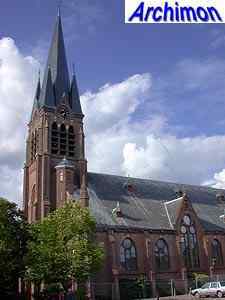 In 1884 work began on the current church. 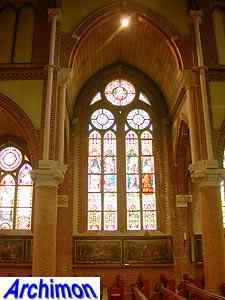 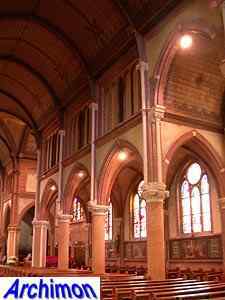 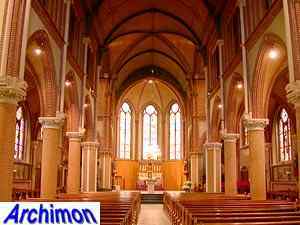 The church, a three-aisled cruciform pseudo-basilica in neo-Gothic style, was designed by E.J. 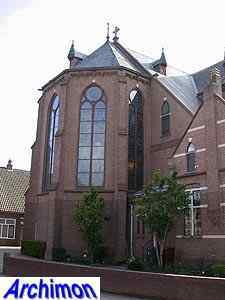 Margry, although his partners, being his brother A.A.J. 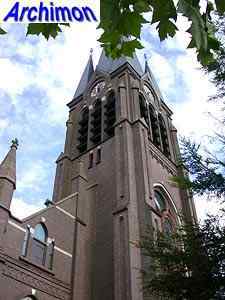 Margry and J.M. 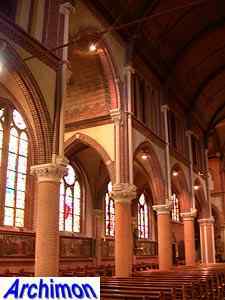 Snickers, are often credited as well. 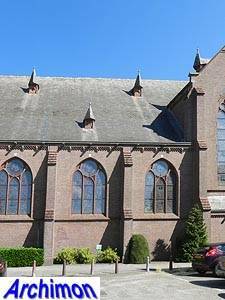 Like many churches designed by this architect, this one was influenced by early French Gothic. 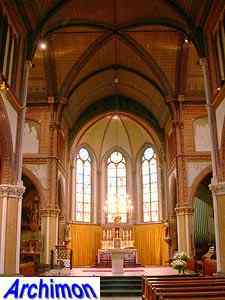 As usual for his work, the church is decorated with many, often small, ornaments. 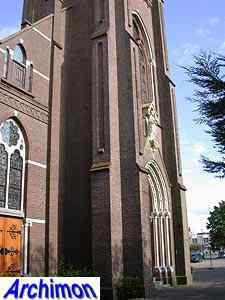 The facade and tower are the only parts of the church with a substantial use of natural stone: the portal, the ridges and traceries of the windows, as well as horizontal bands. 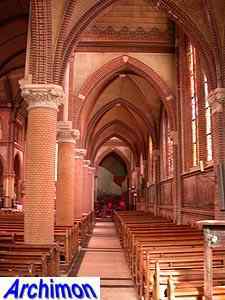 For the rest, the church is almost completely built of brick. 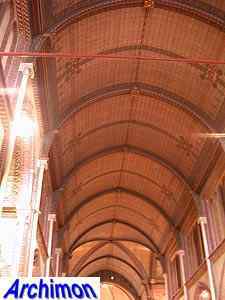 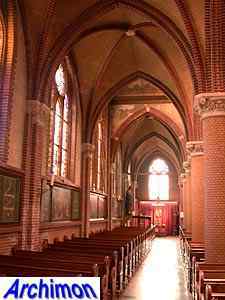 Remarkable is the third trave of either side-aisle, which has a pointed gable and a seperate roof.